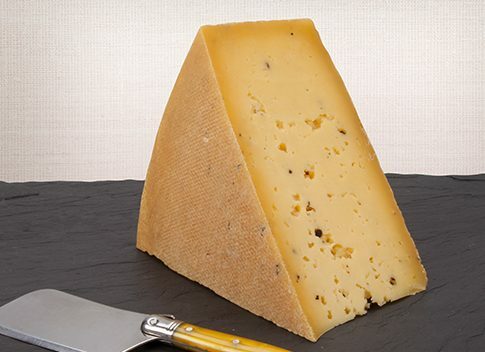 Briana with Truffles is a semi-firm, smear-ripened cheese with Italian truffles blending in the creamy paste. Aged a minimum of 60 days, our herbaceous and slightly nutty Briana is combined with vibrant, garlicky Italian truffle paste and aroma. The combination yields a meaty and earthy cheese that can not only be eaten alone, but is delicious in pizza, grilled sandwiches and vegetable dishes. Priced at $27 for 1 lb, sold in 1/4 lb increments.